After drilling a bunch of threes against the Hornets on Sunday, Dragić did more of the same in OKC. For starters, the Dragon helped Miami climb out of an early deficit with 11 points on 4-of-5 shooting in the opening period. 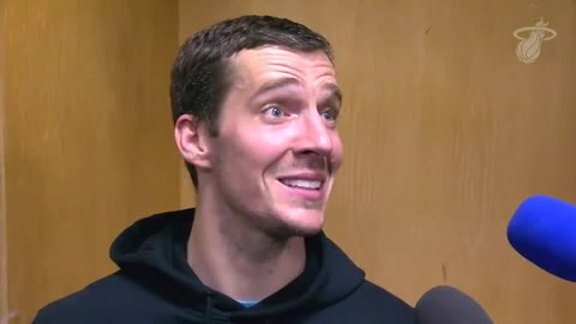 All told, Dragić hit a game-high six treys, but that wasn’t all to his performance. He also showed great vision in the pick-and-roll and fed both Derrick Jones Jr. and James Johnson quite often. In addition to his team-high 26 points on 9-of-17 shooting and game-high 11 assists, the 32-year-old also tallied five boards, two steals and a plus-14 rating. Like Dragić, Wade helped shift momentum in the first quarter thanks to his innate ability to put the ball in the hoop. Of course, the 37-year-old vet also hit two pairs of free throws later on to keep the HEAT ahead. 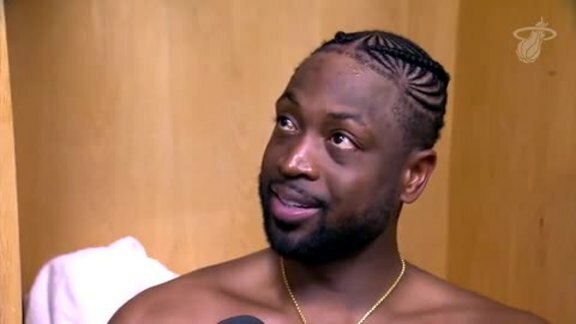 When it was all said and done, Wade recorded 25 points on 10-of-17 shooting, five assists, four rebounds, one steal, one block and a team-high plus-18 rating. Simply put, Johnson carried over his momentum from Sunday afternoon’s contest and made an impact off the bench once again. In particular, JJ was very active on the defensive end and executed Miami’s zone scheme quite well. 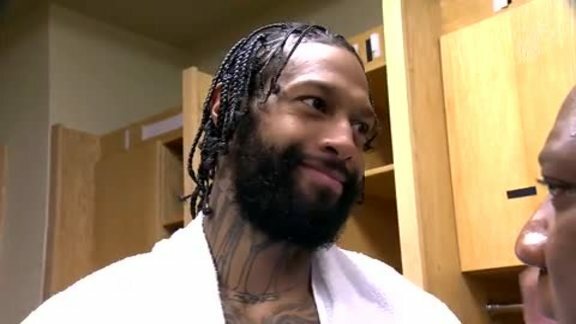 In all, the 32-year-old had 14 points on 5-of-8 shooting, three boards, a team-high three steals, two assists and a plus-16 rating to go along with his two blocks above. -Kelly Olynyk had a nice flurry in the third quarter, which included an important drawn foul on Steven Adams that gave the New Zealander his fifth of the game. 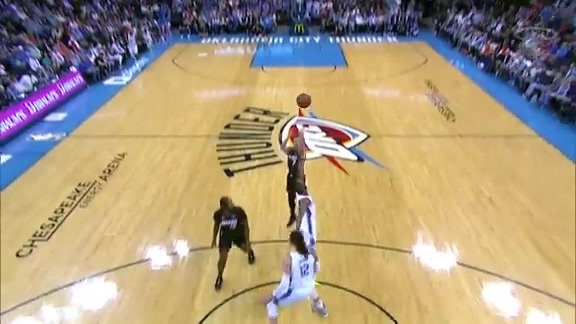 Otherwise, KO mixed things up as usual with finishes inside and shots from outside the paint. In total, Olynyk amassed 18 points on 7-of-10 shooting, a team-high nine rebounds, one assist and one steal. -Rodney McGruder (Left Knee Soreness), Justise Winslow (Right Thigh Bruise) and Charles Cooke were inactive. -Up next for the HEAT are the Spurs in San Antonio on Wednesday night at 8:30 PM. Miami’s next home tilt won’t be until Tuesday, March 26 against the Magic. Tickets for that game at AmericanAirlines Arena can be found here.